This section begins with the basic principle of aircraft weight and balance control, emphasizing its importance and including examples of documentation furnished by the aircraft manufacturer and by the FAA to ensure the aircraft weight and balance records contain the proper data. Procedures for the preparation and the actual weighing of an aircraft are described, as are the methods of determining the location of the empty weight center of gravity (EWCG) relative to both the datum and the mean aerodynamic chord (MAC). Loading computations for general aviation aircraft are discussed using both loading graphs and tables of weight and moment indexes. Information is included that allows an FAA-certificated mechanic or repairman to determine the weight and center of gravity (CG) changes caused by repairs and alterations or removal and installation of equipment. This includes instructions for conducting adverse-loaded CG checks, also explaining the way to determine the amount and location of ballast needed to bring the CG within allowable limits. 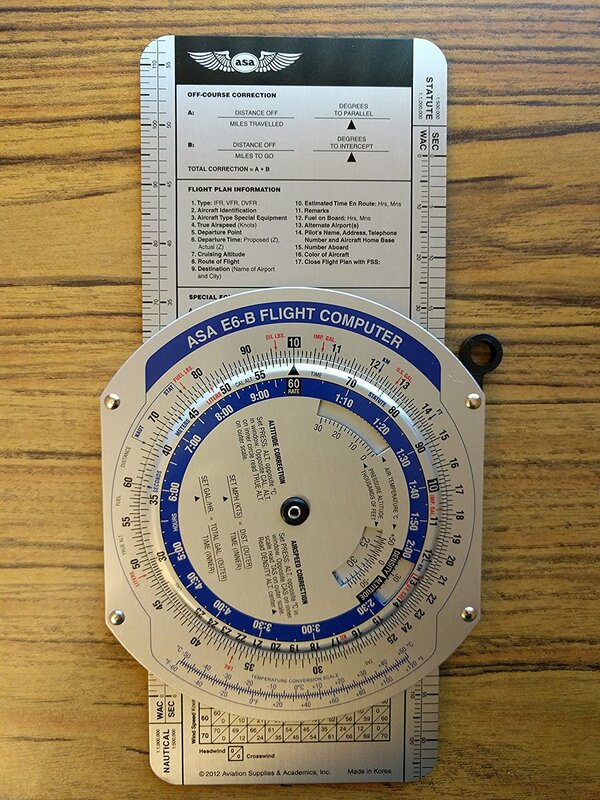 The information found in this section is based upon the information found in the Aircraft Weight and Balance Handbook as published by the FAA. ASA’s Color E6B Flight Computer – On the circular side, black is used for the rate arrow and units to be calculated; Red is used for weight and volume; Blue is used for distance, time and temperature scales. On the wind side, colors are used to identify wind variation: blue identifies west (or right wind correction angle) and red identifies east (or left wind correction angle). ASA’s color E6-B is made with solid aluminum construction and features all the functionality pilots have relied on for decades. A venerable favorite, now even better! Vinyl case and instruction booklet included. Measures 9-3/4″ x 5″.